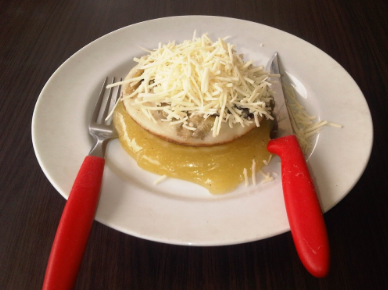 How to Make Sweet Pancake .Sweet pancake or any other name is kind of snack cakes sorabi new cake that was already known, but not the cake serabinya new, but processed serabinya new created, with sweet flavors and a variety of flavors. This snack cakes including traditional cake very existence until now, because it is very delicious pancake made ​​either sweet or salty made ​​though, apalgi that taste salty and savory certainly very much everybody likes, coupled with a spicy sambal oncom steady. Muffin is not only dibandung, in the solo was no pancakes but the sort of pancake duo that has the form thicker than pancake solo. So for those of you who want to make pancakes with a thicker form you can make a pancake duo, or if you want a thin pancake recipe can solo. For those of you who want to try the pancake duo wide sense please drop kedarah Bandung, there are many sold a variety of flavors of cheese, such as pandan flavor, strawberry, chocolate, cheese and so forth. But for those of you who want to try it please follow the recipe below is true, because here we will discuss the making pancake with chocolate cheese were very tasty, so more delicious pancake results and steady. How very easy to not make this duo pancake processed, if you want to create a pancake as snacks for a family at home please direct peraktikan this recipe menu. 0 Komentar Untuk "How to Make Sweet Pancake"